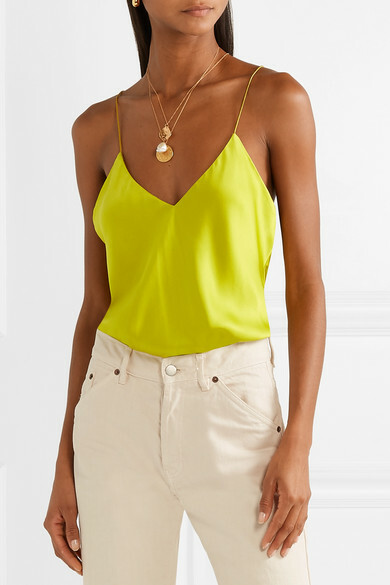 Alix's bodysuits are designed to look like perfectly tucked-in tops. This 'Lewis' style is made from fluid charmeuse and has a flattering V-neckline and smooth stretch-jersey briefs that remain undetectable under close-fitting pants or skirts. 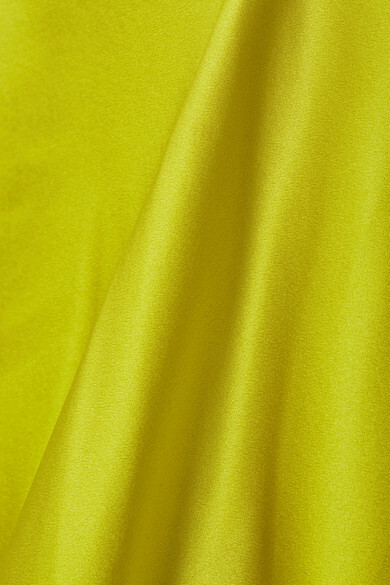 The vibrant chartreuse hue will (surprisingly) go with just about everything in your closet. 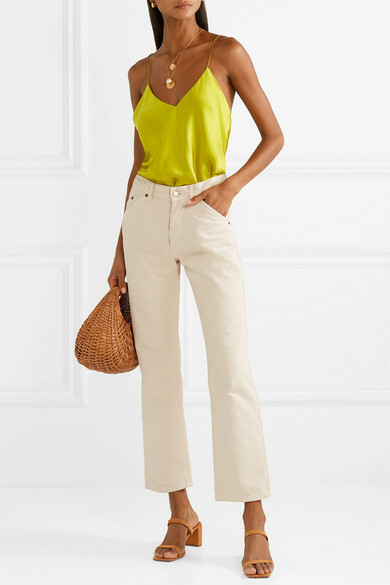 Shown here with: Jacquemus Jeans, Loeffler Randall Tote, BY FAR Sandals, Alighieri Necklace, Alighieri Necklace, Sophie Buhai Earrings.